If your engine accelerates but without an increase in speed then your clutch could be slipping or your Dual Mass Flywheel failing. It is usually accompanied by either a judder at clutch biting point, a burning smell or an inability to drive up steep hills… or all of these! The DMF is changed at the same time. At Lydham Forge, Bishops Castle we are able to identify clutch & DMF problems and fix them quickly and efficiently. Other clutch problems can include your vehicle juddering when driving, difficulty engaging gears and sudden movement of vehicle even when the pedal is released gradually. We are able to carry out work on all different makes and models. 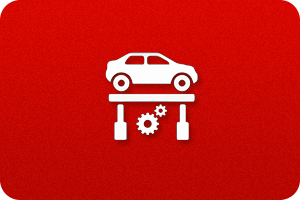 Our mechanics have worked on Clutch & DMF Replacements on a wide range of vehicles. J A Price Motor Engineers believe the customer comes first. Our Clutch & DMF Replacements specialist will talk you through the problem and will only replace items that are necessary.